Mac Pro SSD / HHD Drive Sled Adapter. Install your 2.5" SSD drive in a standard drive sled! The Mac Pro SSD/HHD Adapter is a straight forward solution for all owners of MacPro towers. This is the BEST solution to mount a 2.5" HDD or SSD drive using your original tray. Compatible with SATA I / SATA II / SATA III hard drive. 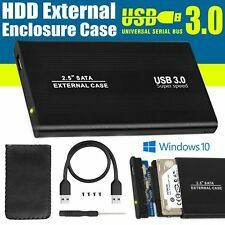 1 x HDD Enclosure Case. Type: HDD Case. Suitable Hard Disk Size: 2.5″. USB power supplied, no external power needed. Plug and play, hot pluggable and hot swappable features make this device convenient and easy to use. Dell Latitude E6330 E6430 E6530. This adapter can adapts any 2.5" form factor SATA(or SAS) SSD (or hard drive) to any 3.5" form factor drive tray, without cables or hassles. 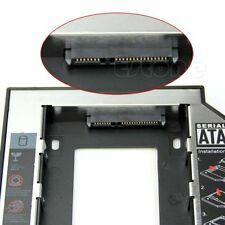 Standard position mounting holes on Adapter's bottom and sides, equivalent to those found on a 3.5" hard drive, give you the flexibility to mount it anywhere a 3.5" drive is used. Dell Latitude E6330/E6430/6530, Hard-Drive 9.5mm Rubber rails (Left and Right) Cover (OEM ). New Genuine Dell Latitude OEM parts 7G4VK. 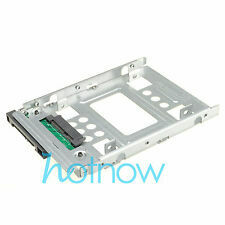 Dell Precision 3.5" HDD Caddy Tray Bracket T7610 T7910 adapter included 2.5"
T7610 T7910. HDD Caddy Tray Bracket. Dell Precision.